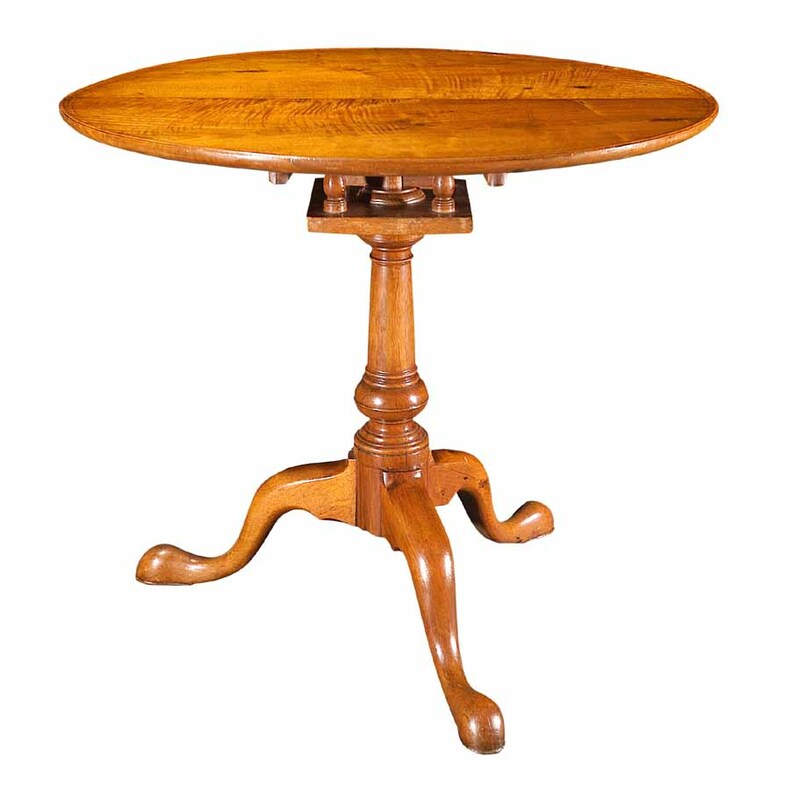 To a fine quality Delware Valley walnut tilt top tea table. The top is constructed of two highly figured boards joined together. Below is a bird cage support with replaced pivot ring. The pedestol base has the suppressed ball turning as found in the Philadelphia area. The cabriole legs end in plain feet with supporting pad carved from the solid. A rare table with small repairs and a new brass catch.